What vitamin D dosage Stops the Symptoms of Vitamin D Deficiency? What's the best vitamin d dosage for YOU when you can't be in the sun? Will fortified vitamin d foods or foods high in vitamin d give the right vitamin d dosage you need? 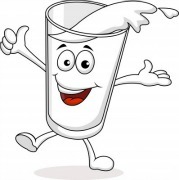 Surprise, but experts say that you will need to drink 100 cups of fortified milk to keep from being vitamin D deficient! Researchers found that many people need 10,000 I.U. of Vitamin D3 to overcome symptoms of vitamin d deficiency, which include: Crohns disease, heart disease, cancer, dementia and depression. Why do scientists at the world’s authority on vitamin d, the Vitamin D Council, say that healthy adults and adolescents should get 5000 I.U. of vitamin D3 per day? A much HIGHER Vitamin d dosage than usual is needed to REVERSE the vitamin d deficiency symptoms of chronic diseases, according to new research. Did you know that bowel diseases such as Crohns disease, ulcerative colitis, and IBS, Irritable Bowel Syndrome, are much more common in northern countries than nearer the equator where people get more sunshine? Scientists set out to test if they could REVERSE these diseases, and if these are in fact symptoms of vitamin d deficiency! To test the vitamin d dosage needed for people to improve from these diseases, researchers gave half a group of people with Crohns disease 1000 IU’s of vitamin D per day, and the other half got 10,000 IU’s every day. After six months, people with Crohns disease who were given the 1000 IU’s per day, had NO extra vitamin d benefits such as a change in their symptoms. less abdominal pain and less diarrhea. Source: Hamed Khalili of Massachusetts General Hospital and Brian Bosworth of New Yourk Presbyterian Hospital/Weill Cornell Medical College, presented at the American College of Gastroenterology. To solve a vitamin D deficiency, however, you need to get your blood levels checked by your doctor. Once you no longer have symptoms of vitamin D deficiency, you now need to also address a vitamin B deficiency, which in turn results from having a long standing vitamin D deficiency. Neurologist Dr. S.C. Gominak discovered that her patients needed a very specific level of vitamin D in their blood to recover their health. But vitamin B supplements were also needed for a short time. Solving both the the vitamin D and B deficiency improved their "restorative" sleep, and as a result, a wide variety of medical problems cleared up for them. Neurologist Dr. Gominak cautions that everyone is different, so you need to know your vitamin D blood levels to correct a deficiency. Medical supervision is recommended, because D deficiency symptoms also include a vitamin B deficiency. Researchers found that a “high normal” vitamin d dosage, from 400 IU’s to 1000 IU’s per day – DOES NOT help people if they already have symptoms of vitamin d deficiency, such as a bowel disease like Crohn’s disease! Many diseases have vitamin d deficiency symptoms -- low levels of vitamin d -- say researchers, and this is contributing to many health problems. These include autoimmune diseases such as Rheumatoid Arthritis, MS, Multiple Sclerosis, Lupus, cancers, heart disease, diabetes and depression. Scientists at Oxford University, headed by Andreas Heger, a professor at the MRC Functional Genomics Unit, are shedding a new light on the wide range of symptoms of vitamin d deficiency. Vitamin d, they found, has a significant effect on the activity of 229 genes, and the human genome has 2,800 binding sites for vitamin d.
Fortunately though, doctors are also finding that upping one’s vitamin D dosage can help people RECOVER from these vitamin d deficiency symptoms! Sunshine, Vitamin d Foods or Vitamin d Supplements? Unless you get LOTS of sunshine all year round, you’ll need EXTRA vitamin D3, and NOT just from your food. Why? Why not just foods fortified with vitamin D1 and D2? Why not depend on fortified vitamin D foods? Vitamin D2 is often crammed into supplements and prescription pills because it's DIRT CHEAP, so your supplements or foods high in vitamin D may NOT be doing you much good. Why? Vitamin D3 is the NATURAL form of vitamin D.
D1 and D2 are the SYNTHETIC version, and is not recommended. You need either sunshine or Vitamin D3, which is as premium as it gets. Vitamin d Foods or Vitamin d Supplements? Yes, there are many foods that have been fortified with a synthetic form – vitamin D1 and Vitamin D2. Vitamin D3 is the NATURAL form of vitamin D. D1 and D2 are the synthetic version. No, the synthetic ones should NOT be taken in large amounts. Why? The natural Vitamin D3 is derived from lanolin or sheep’s wool. We create and absorb vitamin D through our skin from sunlight. Sheep do the same through their wool as the sunlight never reaches their skin. Vitamin D3 is completely SAFE and non-toxic. Amounts as high a 1,000,000 IU have been given to people for a year with no toxicity. Vitamin D2 added to Food a FRAUD? Beware of some supplements using this shoddy, worthless alternative of vitamin B1 and vitamin B2! Scientists at Creighton University and Medical University of South Carolina proved with a controlled, double-blind study that revealed vitamin D3 is 300% more effective than D2. 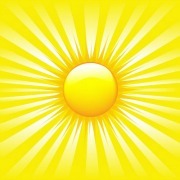 I recommend that you take a tour on the website of the world’s authority on vitamin D, the Vitamin D Council. Not only will they break down for you all of the health benefits of supplementing with vitamin D3 but they specifically dictate that research indicates healthy adults and adolescents should receive 5000 IU of vitamin D3 per day. Vitamin D3 is that much more POWERFUL and is the form that's being used in these head-turning studies. The same POWERFUL form used in these groundbreaking studies As I mentioned, the results to these eye-opening studies are pouring in fast. What's the one thing they have in common? They're all about vitamin D3? That's the form you need! The Journal of Clinical Investigation reports D3 may play a pivotal role in helping keep your blood pressure healthy. The Archives of Internal Medicine reveals the strong connection between D3 and your cardiovascular health. An 18-year study performed at the Harvard School of Medicine surveyed over 14,000 men and revealed the healthy relation between proper prostate health and vitamin D levels. And that's just a few of the breathtaking studies. On June 17th, 2008 even the mainstream American Medical Association cried... "The people need MORE VITAMIN D!" In the face of shocking studies, the AMA called on the FDA to re-examine their advice regarding vitamin D.
They stated, "The health benefits of vitamin D are plentiful, such as strong bones. It's time Americans know the appropriate levels so they can reap the full health benefits." But it's not just the right amount…it must be the right kind: VITAMIN D3 supplements. What's the Minimum Vitamin D Dosage? The world’s authority on vitamin D the Vitamindcouncil.org recommends taking a MINIMUM vitamin D dosage of 5000 IU of vitamin D3 every day! Why? The “old” recommended daily vitamin D dosage has been an RDA of 400 IU per day. This was intended to prevent Rickets, which had been known for a long time to be caused by Vitamin D deficiency. Diabetes, heart disease, hypertension, osteoporosis, cancer, and Multiple Sclerosis. Is YOUR vitamin D supplement Worthless as Sawdust? Vitamin D2 is often crammed into supplements and prescription pills because it's dirt cheap. Vitamin D3, however, is as premium as it gets. In fact, scientists at Creighton University and Medical University of South Carolina proved with a controlled, double-blind study that revealed vitamin D3 is 300% more effective than D2. You see, scientists found that both forms raised vitamin D blood serum levels, while vitamin D2 reached its peak and petered out in just 3 days. Instead, vitamin D3 kept on climbing the charts and didn't peak for 14 days! Even better, D3 maintained high blood serum levels for the entire study, while D2 plummeted down the charts after its peak. There are only a few foods high in vitamin D naturally. Cod Liver Oil: This oil is super-rich in sunlight Vitamin D.
One tablespoon of the oil can give you the highest Vitamin D dosage for the day – approximately 1,000 IUs of vitamin D.
Sockeye Salmon and Mackerel: These fish are the best foods high in Vitamin D. For instance, a small portion of these fish will give you 90% of the OLD recommended daily amount (RDA) of natural vitamin D dosage of D3. Herring, Sardines, Catfish and Tuna are also high in Vitamin D and one serving can supply from 70% to 50% of the old RDA of your vitamin D dosage. Eggs: Eggs contain vitamin D in small amounts, so that one egg will provide you with approximately 10% of OLD RDA of your daily vitamin D dosage. The dried versions of shiitake mushrooms are high in Vitamin D, particularly if they have been dried in the sun, not artificially, so for vegans these can add to your daily vitamin D dosage. If you are vegetarian or vegan, you will have to take vitamin D supplements or get lots of sunshine. Getting enough sun is virtually impossible in the colder and cloudy northern climates, so vitamin D supplements – Vitamin D3 are a must! Prevents chronic diseases, cancers, osteoporosis, diabetes, heart disease, and hypertension, or high blood pressure. How? Vitamin D3 supplements play a role in regulating the healthy growth and activity of cells. Vitamin D3 supplements reduce inflammation which is one of the underlying causes of many chronic diseases, from cancer to diabetes to obesity. We hope you have found our postings about causes of vitamin D deficiency to be helpful. If you live where there are winters and you do not get much sunshine, you will likely need a higher vitamin d dosage than you think. Although there are some foods high in vitamin d, there are very few good vitamin D foods, and it is wise to get all of the vitamin d benefits with vitamin supplements of Vitamin D3. Cancers such as breast cancer, colon cancer, ovarian cancer, prostate cancer, pancreatic cancer, lymphoma, bladder cancer and rectal cancer. Heart disease, hypertension, Multiple Sclerosis, MS, and auto-immune diseases such as RA, Rheumatoid Arthritis, Juvenile Diabetes, Bowl diseases such as Crohn's Disease, as well as obesity and depression. Genetics researchers at Oxford University’s Functional Genomics Unit are showing the effect of Vitamin d on the activity of 229 genes! These human genome researchers are saying that vitamin D has a HUGE effect on our DNA! This, they say, explains symptoms of vitamin d deficiency linked to such a variety of diseases such as dementia, breast cancer and auto immune ailments including Multiple Sclerosis, Type 1 Diabetes, Lupus and Crohns Disease! Help for Auto Immune Diseases: RA, Rheumatoid Arthritis, Lupus, Ankylosing Spondylitis, Crohns Disease. If you live where there is winter, we hope that you will avoid serious vitamin d deficiency symptoms. It turns out that it is NOT the vitamin C in oranges, but that sunshine vitamin d is the best of vitamins to build immune system strength. We hope that if you have any diseases related to symptoms of of vitamin d deficiency that you get your blood levels checked!